Palm oil is a biofuel which has a lot of roles to play for us. This vegetable oil is cheap and it can be used for many cosmetic products and household products too. Due to its versatility, about 50 percent of all consumer goods use palm oil for a variety of reasons. The demand for this versatile oil is increasing in the current world too. But the extraction of palm oil has major effects on our eco-system. 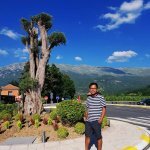 While it is a biofuel, which is generally encouraged, palm oil demands have led to an increase in deforestation, especially in Indonesia and Malaysia. It is home to many endemic and endangered animals like pygmy elephants, Sumatran rhinos, and orangutans – the increase of palm oil cultivation is threatening the livelihood of all these animals. There have been a few events before where we had to face the fact that animals are getting affected by deforestation in these areas. Another tragic event has occurred this month. 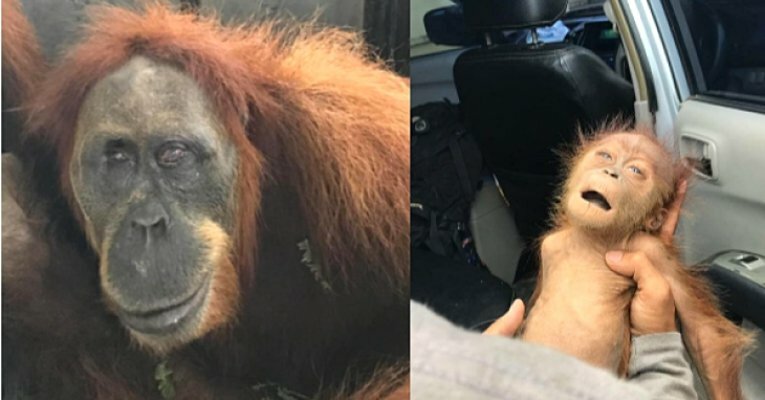 An injured Sumatran Orangutan was found with her malnourished baby at a palm oil plantation located in the Subulussalam district of Aceh province situated on the island of Sumatra. The mother was found in a horrible condition – blinded, wounded and with many broken bones. When the rescuers found the mother orangutan and the child on 10th of March, they rushed to a quarantine center. Unfortunately, the young child took its last breath on the way. 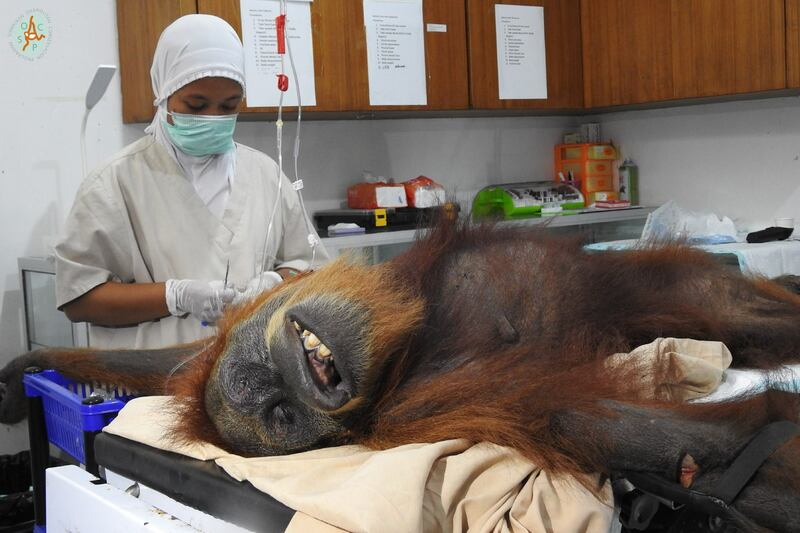 The veterinarians were shocked when they received the injured mother orangutan. They named it ‘Hope’. 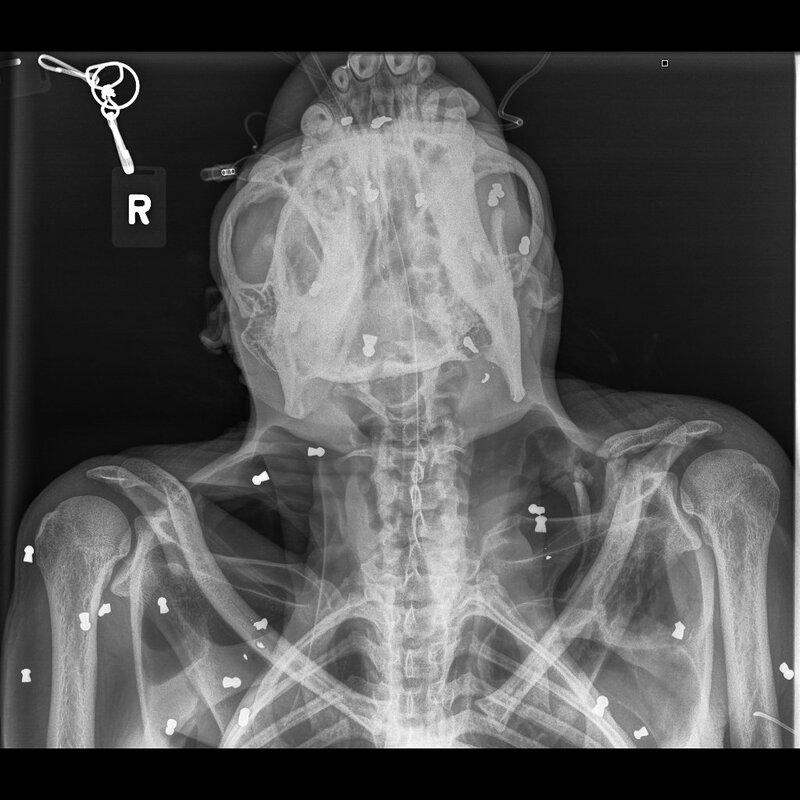 When the X-Ray report came back, the veterinarians found out that Hope had about 74 air rifle pellets in her body. There were multiple pellets in both of her eyes that resulted in her blindness. 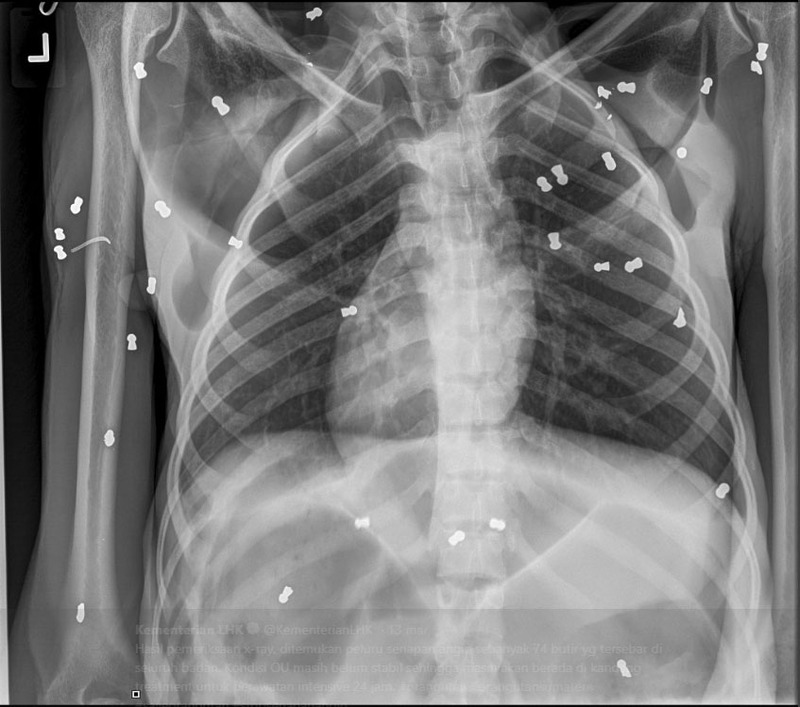 Her collar bones and other bones in her body were also broken. 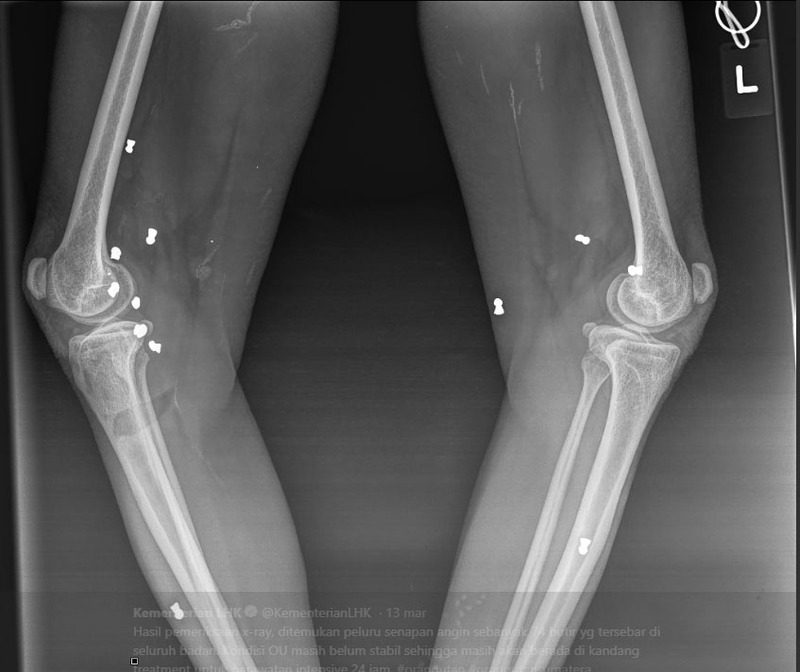 Her right arm had wounds from some sharp object, according to IFLScience. 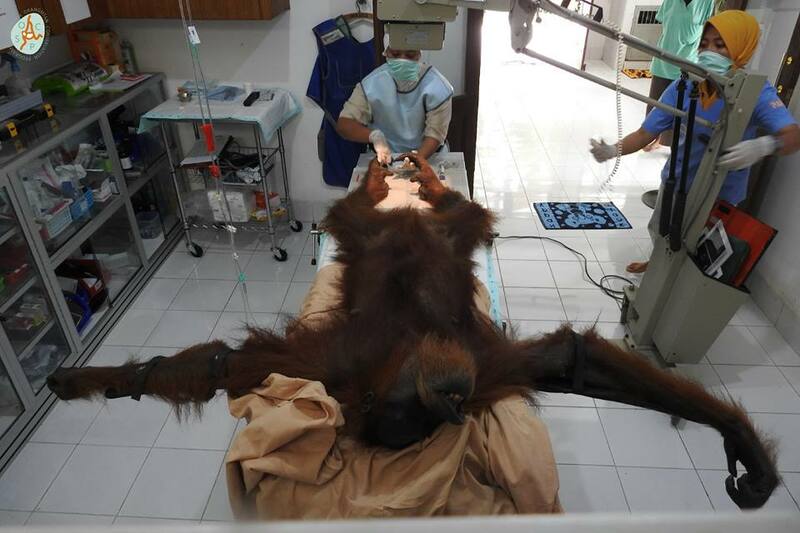 The Orangutan is currently undergoing multiple surgeries for her broken arm. The pellets are being removed from her body. 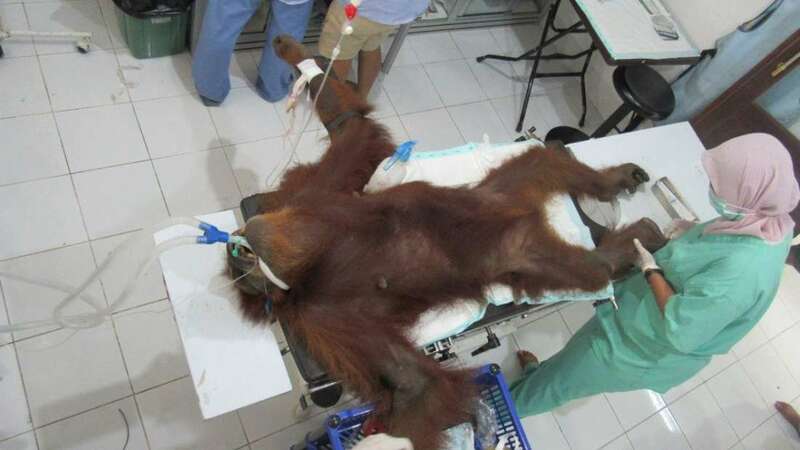 According to a statement by the Sumatran Orangutan Conservation Programme (SOCP), Hope is in a poor state and is still recovering. She has lost her child while she was still breastfeeding and that has had a major mental effect on her. It is hard to tell whether Hope will be able to go back to the wild yet. She is currently under intensive care and slowly starting to have fruits and milk. The problem that orangutans face in Indonesia is not something new. According to the orangutan conservation program, many people use air guns to kill or shoot orangutans or other animals to ward them off. The vets have treated over 15 orangutans in the last 10 years and extracted about 500 air gun pellets from their bodies. Even last year, an orangutan from the Indonesian part of Borneo was killed after being shot about 130 times with air guns. As per the IUCN Red List, only 13,500 Sumatran orangutans are present in the wild. Even a study by Cell Biology estimated that there has been a drastic fall in the orangutan population since 1999. Habitat and human intervention are the major reasons for this decline. Now, it is high time that we start taking major steps to conserve these endangered animals. While palm oil may be necessary, we can limit our demand for it. That is the least we can do for our animal friends.
? McDonald’s Closes All Locations In Bolivia After Bolivian People Reject American Brand Logan Paul Surprised His Fans With His Flat-Earth Documentary But It Turns Out To Be A Parody ?